With a slimmer fit ideal for city-living, the Women's Refined Chelsea features a tailored shape and moulded footbed for everyday wear. A rework of the classic ankle boot, each boot is ready for rain and handcrafted from natural rubber which has been vulcanised for superior protection. Retaining the iconic features of the traditional Chelsea, elasticated gussets and a nylon pull tab make for easy wear. 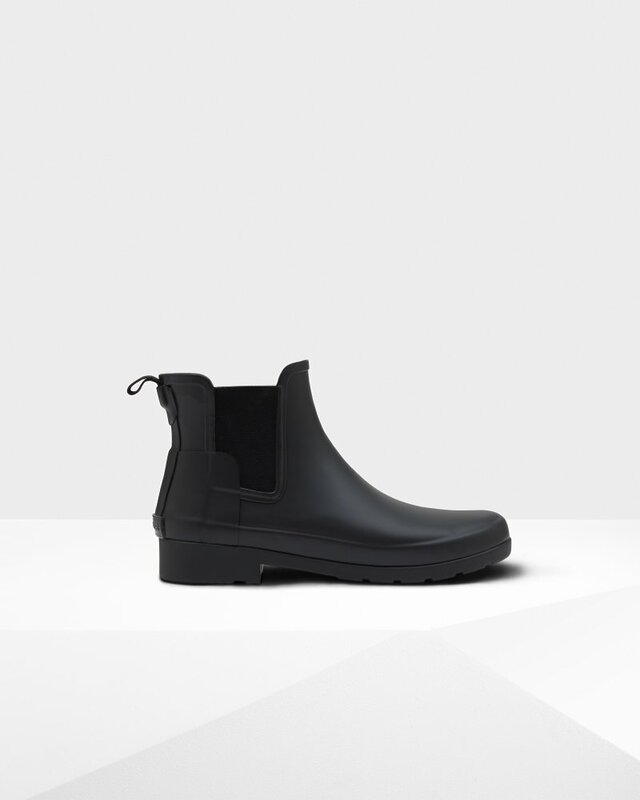 Perfect for everything from city commuting to last minute lunches, this waterproof boot in classic black is a wet weather essential. We recommend that all Hunter Chelsea boots be worn with socks to protect the wearer's skin from contact with rubber. If you are in-between sizes we recommend taking the bigger size.